Today was an interesting piece of nostalgia. 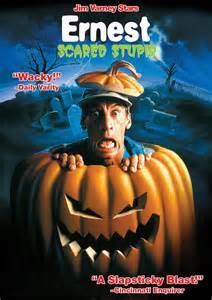 I haven’t seen Ernest Scared Stupid since I watched my recorded-from-ABC VHS tape that I owned as a kid. But, in honor of its 25th anniversary, I had to hunt down a copy. Not too tough, it’s in any 5-buck bin this time of year. The town of Briarville has a terrible secret. A long time ago, they banished a demonic troll named Trantor to slumber beneath a giant oak tree, only to be awoken by a descendent of the townspeople. Now, 200 years later, a descendent, Ernest (Jim Varney, Toy Story, The Beverly Hillbillies) has let the creature out, and Trantor is turning the children of Briarville into wooden dolls in order to use their energy to awaken his children. 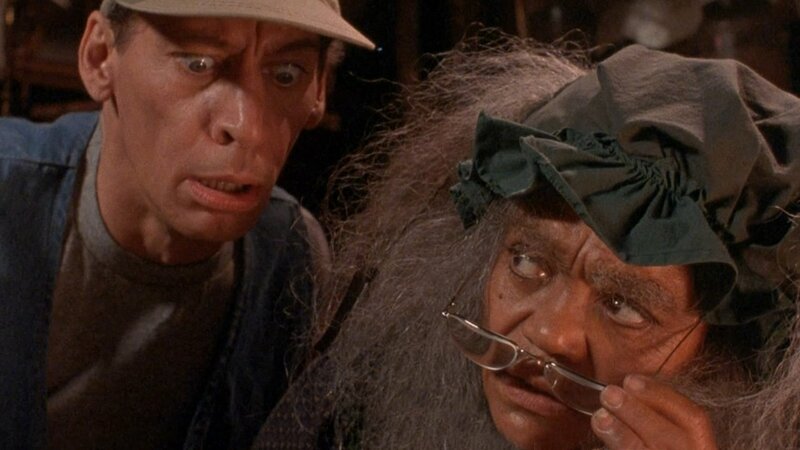 Now, it’s up to Ernest, his young friend Kenny (Austin Nagler), and the strange Old Lady Hackmore (Eartha Kitt, The Emperor’s New Groove, Holes) to discover how to defeat the troll and save the children before it’s too late. Wow, this was such a trip. No matter my thoughts on the movie, this experience was worth it. So what did I think? Personally, I thought the film was pretty fun upon revisiting. Sure it’s a little scary for children, and a little too childish for adults, but that’s what makes a good family film for Halloween. 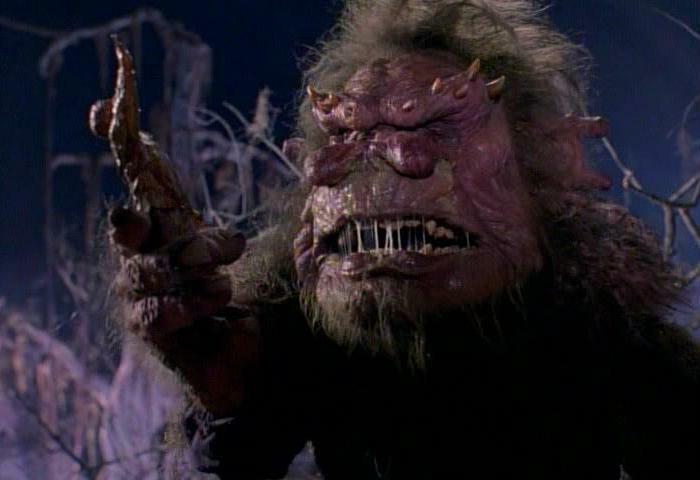 Trantor was created by the Chiodo brothers, who also famously created Killer Klowns from Outer Space (you can easily see some of their reused props in the trolls). The creature and its interactions with Ernest became so popular that many believe it birthed the Troll Face meme used so often now. Jim Varney had perfected his role as Ernest, a bumbling but lovable idiot with a special place for imaginative characters. He is like the idiot version of Doc Brown to Kenny’s Marty McFly. New addition Old Lady Hackmore furthers the caliber of the film thanks to Eartha Kitt, who has fun in her wackiness and the interactions with Ernest, but it is the rare moments of heart that she displays that elevate the film above other Ernest outings. From a technical look, Ernest Scared Stupid can’t really hold a candle to better films. The cinematography isn’t visually gripping. The best edited sequence is probably the titles. The visual effects have aged but are saved by the creature effects. The sets are cheap and the costumes cheaper. But the movie is still fun to watch, so that’s a plus. Ernest Scared Stupid holds up well for those of us that enjoyed it as children, and it may still bring in new fans for the next generation. As for those of you that didn’t see it as a kid, this may not win you over (don’t worry, I’m the same way with The Goonies). Check it out if you get the chance.